Lineage. 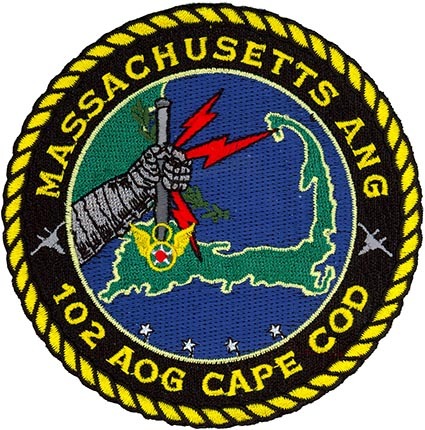 Established as 102nd Air Operations Group and activated in 1 Oct 2008-. Assignments. 102nd Intelligence Wing, Oct 2008-. Operational Components. Squadrons. 101st Air Operations Squadron, 1 Oct 2008-; 102nd Air Intelligence Squadron, 1 Oct 2008-; 102nd Air Communications Squadron, 1 Oct 2008-. Stations. Otis ANGB, MA, 1 Oct 2008-. Operations. Provide trained C2 warfighters to any global Air Operations Center, functionally aligned with the 608th AOC, to provide decisive air and space power through effective command and control (C2) of operational/theater level forces, support the combatant commander, U.S. Strategic Command (USSTRATCOM) and be ready to augment other air operations centers in supporting other combatant commanders anywhere in the world, as the situation dictates. Emblem. Approved in Oct 2008.